How can media companies produce better native advertising? Consumers don’t want to feel bamboozled, hoodwinked, gulled, tricked or suckered by publishers or the brands pushing their content. When producing native advertising media companies must make sure it is clear that it is native advertising. Consumers appreciate it. Regulators demand it. In the United States regulation covering native advertising falls to the Federal Trade Commission. Last week the FTC published guidelines outlining how sponsored content should look on the internet. Using prominent brand logos either around or within the native format, to clearly display the brand’s association to the content. Using different design formatting, fonts, colourways etc to mark the native advertising as being different to accompanying editorial content. Signposting the content clearly as advertising, branded content or native advertising by using these words to label the content. Media companies should only work with ethical partners on developing native advertising together. This adds to the relevance and value the native advertising offers the consumer rather than it becoming a ‘necessary evil’ of the modern publishing business model. The Guardian chose Unilever as its first native advertising partner. It created content to help connect Unilever with sustainability issues via Guardian Labs, its in-house branded content unit. Beyond the relevance of sustainability with the news outlet’s audience the partnership worked because Unilever had a track record creating content that consumers related to and engaged with. The Guardian maintained its core belief in open journalism. The Atlantic on the other hand wasn’t always so prudent with its partners. It infamously published a post by the Church of Scientology. Readers reacted noisily and negatively. They filled up the comments stream, which the Atlantic then censored – making a bad situation infinitely worse. 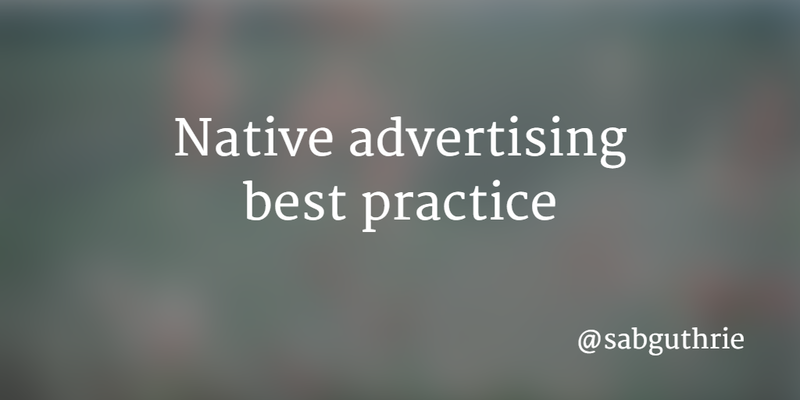 Media companies should aim high for the quality of native advertising. Quartz, owned by Atlantic Media, is staffed by financial and business journalism veterans drawn from legacy media like the Economist, the Wall Street Journal, the New York Times, Bloomberg and the Financial Times. Quartz produces native advertising for companies like the German conglomerate Siemens which brings the reader quality both through compelling storytelling and beautifully-executed design work. The online publisher is able to charge a hefty premium to its native advertising clients because of the quality of the work it produces. The IAB UK commissioned a qualitative study into consumer understanding of content forms of marketing and native distribution formats. 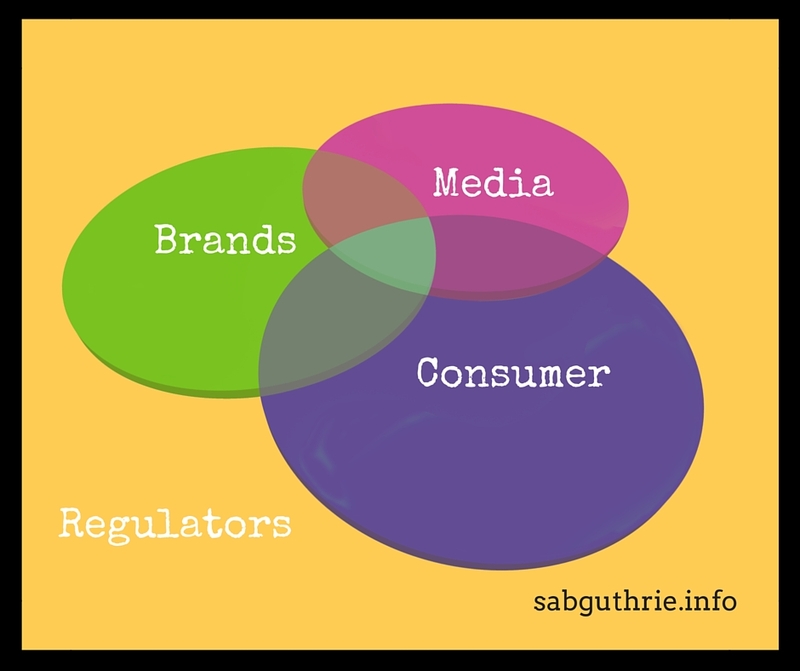 The degree of ‘clarity and trust’ in the author, publisher or brand associated with the marketing content. Consumers trust in a brand or publisher is diminished if they feel the provenance of a piece of content is unclear. Consumers have always had a choice. Social media has given them a voice. Consumers can help to get the native advertising they deserve by asking for proof. Demanding citations and fact-checking from media sources. Media’s business model used to be straightforward. Titles earned money in two ways – via subscription and through ads. But, as a rule we don’t like to pay for our content and don’t want to be interrupted by advertisements either. As the media landscape continues to fragment and consumers increasingly turn to other influencers for information and buying cues native advertising adds a welcome avenue for media outlets and brands alike to earn revenue. Treated honestly, ethically and delivered with high-quality native marketing can be good news for the brand, the media outlet, and consumer alike.